We are a prominent Manufacturer, Exporter and Supplier of Maize Starch Powder based in Rajkot, India. 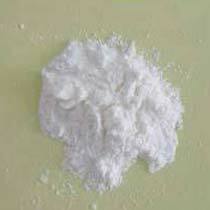 Maize Starch Powder is a white odorless powder processed from selected maize seeds. This starch powder is completely free from adulterants, musty dirt or any other type of extraneous matter. It is insoluble in cold water and alcohol. Maize Starch Powder finds wide use in textile, food processing and paper industries. Further, our Maize Starch Powder has gained many accolades for high efficacy and long shelf life.